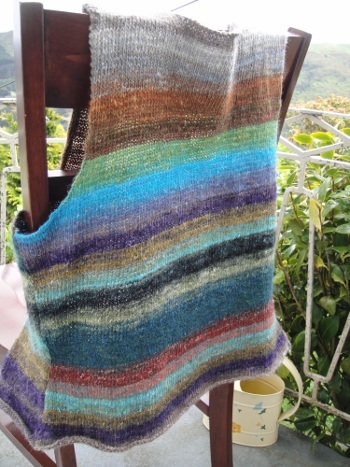 It is a fact that there are relatively few enthusiastic obsessed knitters in this world. Most knitters moderate themselves to knitting in front of the television in the evening, or bring out the needles only at the advent of pregnancy, a new grandchild, or the birth of a friend’s child. On the other hand, there are those who find this art their life’s calling, and view any spare moment in the day as an opportunity to enjoy creating something beautiful with their hands. Some even give up their day job for it. 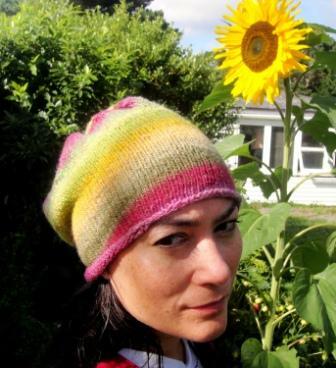 For the purposes of this post, this person is a Knitter. It quickly becomes apparent to those who are fortunate enough to know a Knitter or have one in the family that beautifully crafted warm and comfortable knitted items flow continuously from this person, as such that can only be got from someone as enthusiastic for this art. There are however, a few behavioural idiosyncrasies that manifest themselves upon interaction with such a Knitter. This post is a hopefully humorous attempt to explain how to handle such quirks, and thereby preserve and enhance your relationship with your Knitter. 1. You start a conversation with said Knitter, only to find that you are ignored. You wonder why this person is being completely and utterly unsociable. 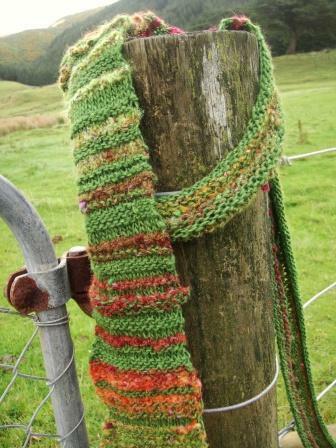 At this point, it’s a good idea to have a look at what the Knitter is doing. You will find that more often than not, the Knitter will be counting stitches. It is rude to talk to a Knitter when he/she is counting. It makes the counter lose concentration, which means he/she will have to count the row at least twice again. When the row involves more than 300 stitches, frayed tempers and unfortunate exchanges of words may result. 2. You ask your Knitter what he/she is making, or are familiar enough with his/her work to say, for example, “Oh, you’re knitting a hat!” This kind of remark is viewed very favourably by the Knitter because it means you are taking an interest in his/her passion. However, do not, under any circumstances, follow this up by saying “it looks itchy”, followed by “it looks rather big/small”, or “that’s so not my colour.” These remarks are hurtful because the Knitter will already have spent a significant amount of time selecting the materials for the project in question and these remarks just mean you are being insensitive to his/her creativity. All kudos gained from your initial expression of interest will be immediately revoked. The project in question, which was likely secretly intended to be a gift for you, will then be reassigned to someone else. 3. Your Knitter excitedly informs you that he/she is making you a sweater/hat/scarf/pair of gloves/socks. Do not say that you would like him/her to knit you something else instead. See point 2 for reaction. Their enthusiasm for knitting for you having waned, said Knitter will also assign your request to the end of his/her queue, which is more likely than not, at least 50 projects long. You will receive your requested project, but it will be in two years’ time. 4. When out in public, a Knitter may sometimes start knitting. This usually occurs during a period of inactivity. He/she views this time as an occasion to Do Something Useful (or views the company as intelligent enough to know that it is possible to talk and knit at the same time). Do not show embarrassment or suggest that you move to a more discrete location. In the event that you are on a date, assume that the Knitter is either a) checking you out to ascertain your future tolerance for this activity (and therefore potential as a partner), or b) suggesting that the date is over. If you like your Knitter, expressing an interest in the knitting will be taken as a good sign and may salvage a potentially bad situation. 5. You go shopping with your Knitter and voluntarily enter a yarn store with him/her. Although he/she may quickly find the item you entered the store for, the Knitter may then decide to wander around the store in a seemingly aimless fashion. At this point, it is not a good idea to hold your Knitter to the initial statement that he/she “just needs to pop in for five minutes”, by starting to fidget and suggesting it’s time to go. A good yarn store is a Knitter’s holiest of sanctuaries. This is a place where he or she refreshes his/her creative soul by immersing him/herself in the scrumptious array of colours and textures on display, enjoying the company of other Knitters there and discovering yarnie treasures not seen before. Your behaviour will be badly received, and at best you’ll extricate your Knitter from the shop in a small huff. At worst, he/she won’t speak to you again for a full two hours. If you are bored, excuse yourself graciously and suggest you’ll wait for him/her in the nearest coffee shop. Don’t expect an animated reply – by now, the Knitter’s mind will be lost in the rapturous delights on display. 6. 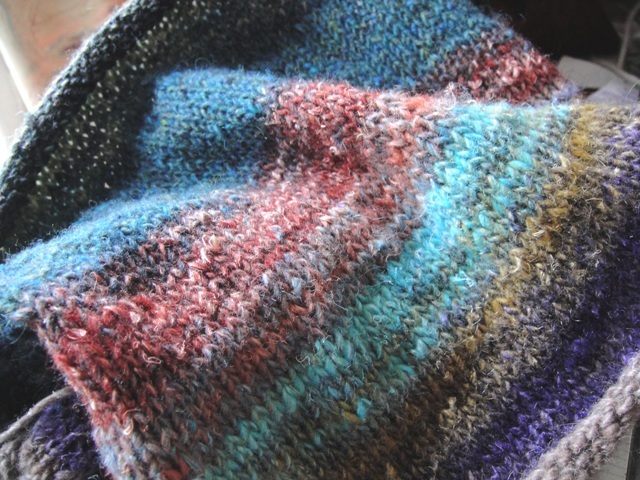 As part of the act of knitting, a Knitter will engage in what is commonly called “stashing”. 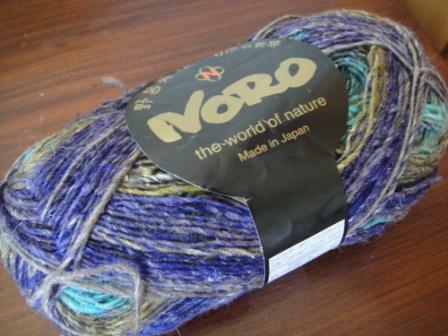 This is the acquisition and collection of yarn – the materials of their art. Depending on how long your Knitter has been a Knitter, the size of this stash will most often vary between a small basket discretely tucked into the corner of the living room and the contents of a small cupboard. Long-time Knitters are known to have their own Yarn Room. However, many Knitters are sadly afflicted with unnecessary guilt at the size of their stash (usually at the hands of husbands or family who Do Not Understand). It is a great honour to be shown this stash, because it means that the Knitter believes you capable and worthy of appreciating a carefully accumulated yarn collection. Don’t shatter the trust by making loud exclamations about excess or suggesting that the local school could benefit from a donation of yarn. 7. Knitting is an absorbing activity. A Knitter will often make a cup of tea, and having left it to steep, remembers the now-cold cup of strong tea an hour or so later. Sometimes several cups of tea are left around the house in varying degrees of consumption. Bringing a fresh, hot cup of tea to the Knitter, while quietly and efficiently removing the unpalatable cold ones creates feelings of extreme gratitude towards you. Making aggravated remarks about “numerous cups of cold tea” left around the house produces the opposite reaction and may result in a mysterious severe delay to the completion of knitted goodness headed your way. Finally, the moment arrives when you are presented with a carefully crafted project. Happy and grateful expressions of thanks will make your Knitter beam with happiness. 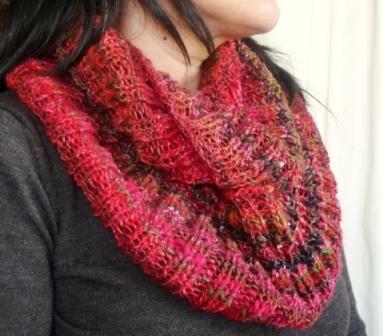 Wearing your gift at every opportunity will endear you to the Knitter forever. Making covetous remarks about projects still on the needles, but destined for others will ensure your name remains on the knitting list for all time. I hope that this assists in the enhancement of your relationship with the Knitter in your life. 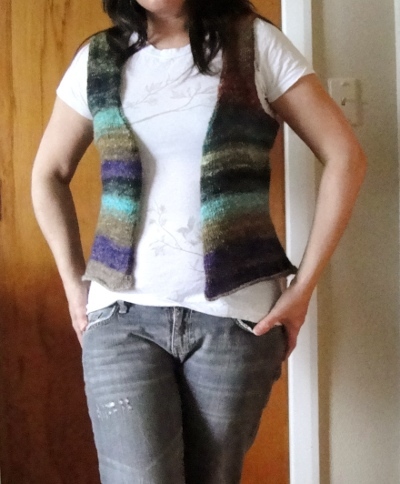 Categories: Knitting, Uncategorized | Tags: art, craft, hobby, Knitting, life, relationships | Permalink.